Aurobindo Pharma was born of a vision. Founded in 1986 by Mr. P.V.Ramaprasad Reddy, Mr. K.Nityananda Reddy and a small, highly committed group of professionals, the company became a public venture in 1992. The Company's manufacturing facilities have been inspected and approved by several leading regulatory agencies such as US FDA, UK MHRA, WHO, Health Canada, MCC South Africa, ANVISA Brazil. Approximately 53.6% of the gross consolidated turnover comes from the formulations business. This paper mainly focuses on Managers Performance in Pharmaceutical- HR Vision, HR Mission, strengths and strategies, Threats and challenges, Corporate Social Responsibility, Pharmaceutical Effectiveness, and Integrated Management Systems: Pharmacy performance. Managers Performance in Pharmaceutical, Strengths and Strategies, Threats and Challenges, Pharmacy Performance. Five Steps to Pharmaceutical Sales Force Effectiveness: Performance Measurement & Management. SUDESH KUMAR,, DR.BIMAL ANJUM,DR. SUMAN NAYYAR: (Vol.1 No. 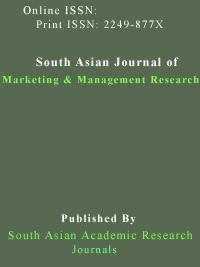 1, January 2012, ISSN 2277 3622), FINANCING DECISIONS: A STUDY OF PHARMACEUTICAL COMPANIES OF INDIA. TOWARDS SUSTAINED PROFITABLE GROWTH; AUROBINDO PHARMA LIMITED, Annual Report 2010-2011. LailaZaman(ol. 1, No. 1; September 2011) ,East West University: Performance Appraisal Process of Pharmaceutical Companies in Bangladesh: A Case Study on GlaxoSmithKline Bangladesh Limited. Aurobindo Pharma Limited: Presentation to Investors (February 2013).